Photo credit Jonathan Pece Photography. The White House honored Graciela Tiscareño-Sato, a 1999 graduate of Whitworth’s M.B.A. program in international management, as a “Woman Veteran Leader Champion of Change” in a public ceremony on March 25. Tiscareño-Sato was recognized for her military service and for her business, Gracefully Global Group, LLC. She was one of 10 women military veterans selected out of 400 nominees. “I love how the program at Whitworth fed my need to be a global citizen and encouraged me to never be limited in my mindset,” Tiscareño-Sato says. Tiscareño-Sato founded Gracefully Global Group, LLC in 2009, after working as a senior global marketer for a subsidiary of Siemens A.G., in Munich, Germany. Prior to Siemens, Tiscareño-Sato served as a U.S. Air Force officer and navigator for nine years, during which time she received an Air Medal for her combat air operations over Iraq. While in the military, she was stationed at Fairchild Air Force Base, near Spokane, Wash., and pursued her master’s in international management at Whitworth. The White House started the “Champions of Change” program to honor individuals who are actively empowering and inspiring their communities. Through Gracefully Global, Tiscareño-Sato lives out this mission of empowerment using literature as a vehicle for advocating for the Latino community and facilitating global dialogue. Her company publishes innovative, award-winning educational literature that spotlights the Latino community’s contributions to the U.S., with K-12 students as the target reader audience. Keeping true to the company’s name, she places grace at the center of her organization and seeks to maintain and disseminate her global mindset. 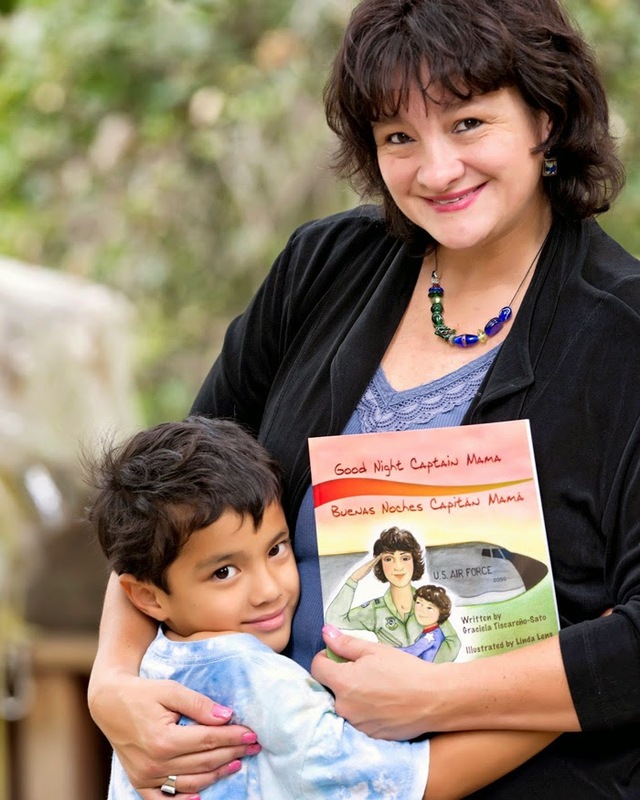 To answer this question, Tiscareño-Sato wrote her first bilingual children’s book Good Night Captain Mama in 2013. The children’s book, which was inspired by a conversation with her then three-year old son, was recently named a finalist in the “Best Educational Children’s Book—Bilingual” category for the 2014 International Latino Book Awards. In addition to her roles as a publisher, marketer and author, Tiscareño-Sato also is a keynote speaker and has presented at numerous conferences, including the 2012 Green Schools National Conference, where she presented a keynote speech alongside Secretary of Education Arne Duncan.